Strawberry fields and apple orchards provide a gorgeous backdrop that welcomes visitors. The Pajaro Valley – which can be seen from the summit of Mount Madonna – includes the communities of Corralitos, Freedom, La Selva Beach, Pajaro, Royal Oaks, Pajaro Dunes, and Watsonville. A variety of options awaits; from an early morning bird watching excursion to an afternoon at a u-pick farm or museum, sunset stroll on an expansive beach or attending a signature festival. Average temperatures in Watsonville vary somewhat. If you’re looking for the very warmest time to visit Watsonville, the hottest months are July thru September. The warmest time of year is generally late August to early September where highs are regularly around 79.3°F with temperatures rarely dropping below 54.2°F at night. The busiest month for tourism in Watsonville, is May through August. Prices for hotels and flights will be most expensive during these months, though you can save if you purchase well in advance. Starting in September prices start to drop for hotel and air. A non-profit fine art gallery located in a 114-year-old historic Victorian. PVA presents rotating contemporary visual art exhibitions showcasing the diversity and talent of regional artists. Sand Dollar Day-Use Picnic Area is along the southern Big Sur coast about half-way between Cambria and Big Sur Station. The picnic area and Sand Dollar Beach are popular in the summer months. Surfers ride the waves here as this is one of the few worthy surf spots in all of Big Sur. 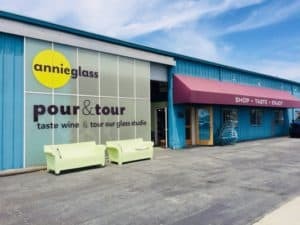 The Annieglass factory is one of the most unique places to visit in Santa Cruz county. Since 1983 the production studio produces over 200 pieces a day for distribution throughout the U.S., Europe and Asia to the finest stores, resorts, chefs and websites. The largest selection of Annieglass is featured in their retail store along with local artisans, jewelry, and home furnishings. Less well known than its neighbors Sunset and Seacliff beaches, Manresa State Beach has been a favorite of locals for years. They appreciate its relative anonymity, its long expanse of clean beach, and its well-maintained facilities. Most of the visitors enjoy shore side activities like walking, flying kites, playing sports, or sun bathing. This is a popular state park with a campground, nice day use picnic facilities, and a long wide sandy beach. The main unit of Sunset State Park has two separate day-use parking lots: Upper Ramada Picnic Area (near the park entrance) and Lower Ramada Picnic Area (at the end of the park road). Both areas have picnic tables and covered picnic areas with BBQs. The California Grill serves the finest locally grown produce, meats and desserts. We grow our organic produce here in Pajaro Valley so the food on your plate was likely picked fresh just hours before it was prepared and reflects seasonal flavors at their peak. Telephone: +1 831-722-8052 Web: California Grill of the Pajaro Valley. Located in Corralitos, California. They brew & pour their own hand crafted ales. Visit their friendly new taproom & experience what all the buzz is about. Telephone: +1 831-728-2311 Web: Corralitos Brewing Co. When you stay halfway between Santa Cruz and Monterey, you get the finest of both worlds. Delight in everything these two cities have to offer, but away from the hustle and bustle. They are minutes from Elkhorn Slough, a haven for birding enthusiasts the world over. They cater to road trippers, vacationing families and business travelers that desire affordable elegance. 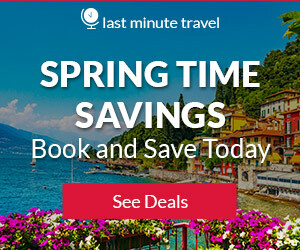 For more information, pricing, or to reserve your room visit Best Western Rose Garden Inn. Make yourself at home in one of the 65 air-conditioned rooms featuring refrigerators and flat-screen televisions. Complimentary wireless Internet access keeps you connected, and cable programming is available for your entertainment. Conveniences include desks and microwaves, as well as phones with free local calls. For more information, pricing, or to reserve your room visit the Holiday Inn Express Hotel & Suites. 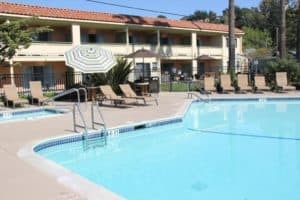 The Comfort Inn hotel is conveniently located between Santa Cruz and Monterey, close to Capitola Beach. 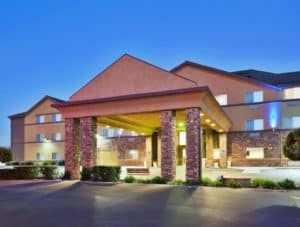 This Watsonville, CA hotel is minutes from area attractions including Cannery Row, Fisherman’s Wharf, the National Steinbeck Center, the Monterey Bay Aquarium, the Santa Cruz Beach Boardwalk and the Mystery Spot. 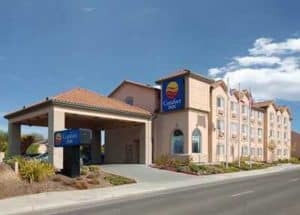 For more information, pricing, or to reserve your room visit the Comfort Inn Watsonville. 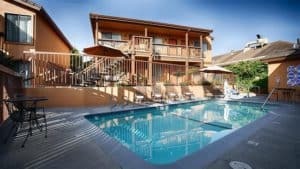 Located in Aptos, Seascape Beach Resort is a luxurious oceanfront resort featuring three outdoor swimming pools with hot tubs and 2 restaurants on site. All accommodations includes free WiFi. 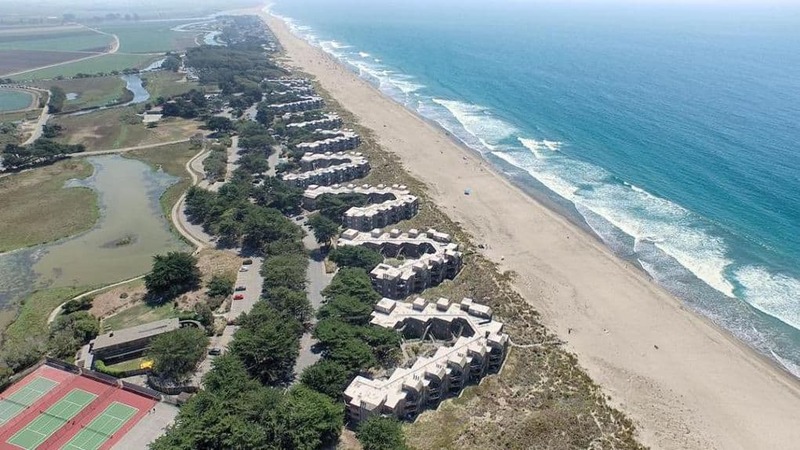 For more information, pricing or to reserve your room visit the Seascape Beach Resort. 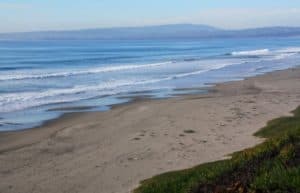 The Rio Sands Hotel is nestled in the quiet Rio Del Mar neighborhood of Aptos in the county of Santa Cruz–minutes south of the city of Santa Cruz and just 35 minutes north of Monterey and Carmel. 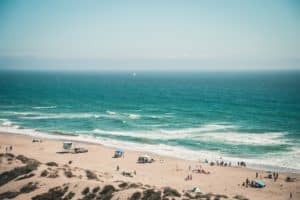 The Rio Sands is located an easy, two-minutes flat walk away from Rio Del Mar and Seacliff State Beaches where you can enjoy 20 miles of walkable sand. For more information, pricing, or to reserve your room visit the Rio Sands Hotel. It was only recently that my wife has ever expressed an interest in Northern California, but not one that I shared until reading your article. 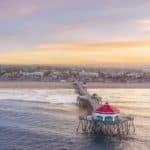 Beaches have not been a great attraction to me for 40 years but the drone footage has piqued my interest. I don’t believe that I noticed any RV parks listed. can you make any recommendations? With the astronomical rise in RV sales, Class A motorhomes are becoming the selected mode of domestic travel. Hi Rod, I am glad I have you interested in California. It really is more about the amazing scenery than just the beautiful beaches. This is one state that has so much to offer, everyone! If you go to the KOA Campgrounds website, they list all of the RV parks in the area. I am sure you will find that there are plenty to choose from 🙂 I hope you can visit Watsonville CA soon! Your article is put together really well with plenty of additional where to go and what to do information often missing off other such sites. I am currently looking for a great U.S. beach vacation spot. You have made it very easy for me, other than now I have to pick just one spot that will be perfect for me! Thanks for all the great vacation ideas! I am glad I could help you find a few beach destinations in the U.S. for you to choose from for your next vacation. 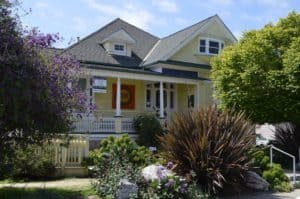 If you email me your particulars on exactly what you are looking for, I can make some suggestions for you 🙂 Thanks for visiting my Watsonville CA review. Wow being as I’m someone who loves beaches, this place seems amazing to go to. I usually go to Florida every year for vacation, but I’d love to try this place instead. The whale watching alone makes it sound like worth the trip. Have you been to Watsonville, and what would you say is your favorite thing to do while there? Wow! California is an amazing place and it’s very interesting to know new places. Often there are places not known as the most famous ones that are worthy at least as much as the others. I was wondering if there is any place where there is live music at any time or where are the closest ones. I’m am enthusiast of music and it would be a good news to know! Thanks again! Ok Miche, for live music you will want to head to the Wooden Nickel Bar & Grill. Best place for this venue in Watsonville 🙂 Thanks for the visit! Thank you for taking your time to compile this amazing location and beautiful views. California is so blessed with lot of amazing places and Watsonville isn’t left out in the long list. My wedding is coming up by July and I presume we can add this to our proposed honeymoon locations. Oh, this area would be great for a wedding! How beautiful it will all be 🙂 Please let me know if you need any additional information. I highly recommend staying at the wonderful Cypress Inn on Miramar Beach. They also do weddings, and it is a beautiful location with a wonderful boutique hotel. Hi; your post is fantastic. 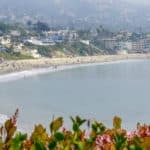 The buildings’ design, The descriptions that you have given of Santa Cruze and Monterey Cities; it gives me a feel of what you have experienced in the panoramic views of these two Cities. I hope you do go there some day Dorcas! It is true beauty. I am a beach bum at heart, but the scenery here is breath taking. Worth a vacation here for sure. Thanks for stopping by! Here comes another one of the most beautiful California beach named Wastonvile. I love the sight of beach and also like the fact that it has some great sight attractions. I like ancient art works hence Pajaro Valley Arts. The interesting part of art gallery is that it has been in existence for more than 100 Years. I will love the historic diversity. I think booking in advance will be a nice idea so that one will not spend to much money. For this is a place to visit. One should always plan vacation once in a year with your love ones. Life is good. Yes, life is good 🙂 and you will enjoy your visit to Watsonville. Please let me know if you need any other information for planning your trip. Thanks for the post Leahrae, We love California and have been there several times along the coast. I don’t remember ever stopping in Watsonville, but definitely going to be a stop on our next visit. Love your website, and our bucket list has grown immensely! We are looking forward to heading back and spending some time in Watsonville, you have made the decision for us! Great Phil, you will enjoy for sure 🙂 Please let me know if you need any additional information. Yet another destination to add to my list! I’ve never been to Watsonville, but the west coast is beautiful. I took a west coast road trip back in August of 2017, driving from Seattle down all the way to San Diego over the course of 2 weeks. I loved it! The beaches there in cali are unreal, so I absolutely believe what I see in your pics of Sand Dollar Beach. Great post! Looking forward to visiting! Thanks so much Eric! I agree, as I have done that drive as well. The views are just amazing and I could easily live there, but Florida is the next best thing in my book 🙂 Thanks for visiting Watsonville CA! We love holidays and love going to the beach. For me, visiting beaches is great for my health and well-being and sea air is good for sleep. The ocean air just seems cleaner and fresher! I found Manresa State Beach very attractive for beach trip. Now I need to prepare to head to California! I agree with you 100% Julienne! I love beaches, and that is probably the only type of vacation I take. Something about the ocean, the sand between your toes, and the beautiful sunsets makes me feel wonderful. I hope you can visit Watsonville CA soon! 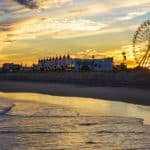 The beaches look amazing and the weather is so perfect, making me want to move there for good (it is too cold here in NY) Thank you for this amazing list. My husband anId are planning a vacation and weare still debating on the destionation (like always) However, CA will be nice since we both get to visit our friends as well. Do you think how long should we spend there? A week or less? Hi there, and I would definitely spend at least a week. If you have friend nearby, then you might want to spend even a little more time there. Some times with friends, and some time enjoying the area. If I can help with your planning, please let me know. Wow! You really did great with your well detailed write up on Watsonville. Looking at the well clear cut pictures, I couldn’t help but marvel at the scenery of the place. I would have love to vacate at Watsonville next, however like you rightly said, it is usually expensive during May to August, I guess I will have to save towards that and see if I can purchase in advance.I really love the Pajaro Valley Arts as I am a lover of artistry works. I think I love the Rose Garden Inn best and Sunset state beach. All great picks Gracen. Yes, if you plan ahead, then you can make that time in May thru August not quite as expensive for sure. I know you will love a visit to Watsonville CA. Please let me know if I can answer any other questions for you. The pictures and the video have me sold! I have been wanting to visit California, and think I would like to visit Watsonville and the whole Santa Cruz area. How long do you think I need to allow to see and experience Watsonville? It is so beautiful and I want to take it all in! I am glad you are ready to visit Watsonville CA. I think that since you are traveling quite a distance (2 to 3 days travel time) I would then add another full week to your vacation time. That way you can experience it all and see some of the Santa Cruz area as well. Please let me know if you need any additional information. I dream to visit California some day. It would be nice to see the sight of surfers surfing atop the waves of the ocean by the beach. Watsonville sure has a lot of beach, I doubt there can be any moment of bore in Watsonville. This is a well written article and from your write up, seems you’re a local. How’s the weather in California during August? In August it is going to be about 72 degrees F, so not hot yet certainly not cold. Great weather for a California vacation. Thanks for stopping by! 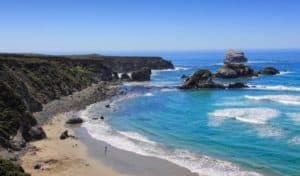 Thanks for listing out this location for tourists like me who loves trying traveling and seeing seeing the world and acknowledging it’s beauty, Watsonville’s sand dollar beach and manresa state beach is certainly my next target of having picnic with my family when next I visit the city of California. Great Seun, you will love it. I hop you can visit Watsonville CA soon! Thanks for stopping by! California is a beautiful place. And I know there are a lot of over rated places in California. This seems to not be the norm. I would love to vacation to Watsonville and experience it all. It is on my bucket list now. Thank you for the great information! I will be planning soon! Yes, there are some place in California which may seem over rated to some. However, the whole Monterey area is not that at all. It is beautiful with its beaches and scenery and the abundance of activities. I think you will have a wonderful vacation in Watsonville CA. Please let me know if you need any additional information. Watsonville looks like a great place to explore in CA! The beach looks magical and so much stuff to explore with my family. You post is so detailed, accommodation options, places to eat, things to do! There is a lot going on in this little place. I love to surf, so this would be a great destination for me to stay and play. Is the water here cold like the rest of California? And those towering cliffs on the beach add so much character. Love the drone footage of this area, amazing. Next time I’m in the area I will definitely check this place out! Thanks for the review. You know the water is a tad colder than over here on the East Coast, with an average temperature of 55 degrees F, which a little cold my me LOL. A wetsuit might be in order when surfing. Although I have seen many surfers there with just there swim suit on. I hope you can visit Watsonville CA soon! Thanks for the visit.